The most powerful marketing automation software is also the easiest to use. Click through to view the Marketing Automation video library to learn more about Eloqua and Marketing Automation. If you're short on time, we've also included the Marketing Automation Simplified Guide - a quick overview on how marketing automation works. Lots of really great things are taking place around here- so learn how to become a Modern Marketer today! Identify better quality leads using data, profiles, and preferences. 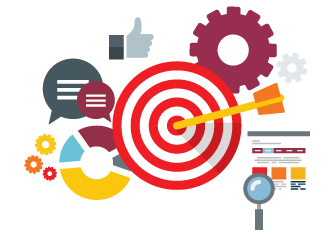 Use targeting and segmentation software that automatically creates and manages individual profiles by capturing website visits, email responses, and form information. Launch campaigns to support sales, events, renewals, and more. The power to nurture prospects and streamline customer communications is at your fingertips. Transform the way marketing aligns to the business with structured integrated programs. Align marketing and sales processes to boost revenue performance. Marketing automation that's integrated with CRM and connected to a set of prospect intelligence and productivity tools can make a dramatic difference in sales results. Improve sales close rates when you score, assign, and nurture leads. Lead Scoring from Eloqua is the industry's most advanced lead qualification technology. Now you can rank qualified sales leads according to buying interest, enhance lead quality, route hot prospects to sales, and improve conversion rates. View insights from dashboards and reports using marketing analytics and assess the sales and marketing funnel on a single marketing platform. Socialize demand generation for higher awareness and engagement. Make it easy for people to share your existing marketing messages socially and expand your reach. Build trust and add reach without adding budget. Personalize campaigns to increase customer loyalty and grow revenue. Both B2C and B2B marketers alike are finding the ability to communicate with customers in a consistent, highly relevant way across multiple channels the essential ingredient in building a profitable lifecycle marketing strategy. Reach to the cloud for applications, services, and tools. With more integrations supported than any other marketing automation platform, you can make smarter decisions, automate more of the marketing process, and reach more buyers with Eloqua AppCloud Partners.